We've asked for Opening Lines, Memorable Lines,and we offered a way to test a book with First and Last Lines together,and now it's time for books that go out with a bang. Share your favorite last lines. Need a little help? Why not try a search to look up some last lines --we know it can be hard to remember ALL those books you've read!! And there have been loads of interesting publications on famous and memorable last lines... even top 100 lists! Tell us the line, the title, the author and any thoughts. And please, feel free to write a LIST!! **We decided to take the month of October off --The Sisters focused on the new school year, The Mom and The Dad did what parents do, The Dog napped, The Cat napped, and now we are ready to get back to BFWP with all sorts of new challenges. We sure hope you will join us! We are very happy to be back! My favorite "type" of last lines are the kind that blur the edge of book and reality. The kind that lead you back into your life so that it seems like the book didn't end exactly, just turned the page into your life. "And then he and Gareth ran downstairs to supper." I am going to re-read Time Cat... it's a GOOD one! "I am a Zizzer-Zazzer-Zuzz as you can plainly see!" "Now small fowls flew screaming over the yet yawning gulf; a sullen white surf beat against its steep sides; then all collapsed, and the great shroud of the sea rolled on as it had rolled five thousand years ago." "It was the devious-cruising Rachel, that in her retracing search for her missing children, only found another orphan." I'm intrigued by many layered books such as this, which you can read simply as an adventure story when you're young, but that become deeper and fuller with the reader's experience, knowledge, and age. So this novel begins with the narrator saying not, "My name is Ishmael. ", but "Call me Ishmael." And ends with another Biblical reference - this one to Rachel. And in between... such rich food for thought. I can't bring myself to read the last line of the book I am reading now. It is the last in a series of 6 and I fear that it will give something away and I love the book too much to do that, but I will give you the last lines of the last two books I read to compensate. "He put an arm around his brother to help him up. And then, for a moment, he just held on." ***Although these aren't technically the last sentences of the book, they are the last sentences of prose. The rest is a letter that ends with "I want people to know so that they will always remember. I alsways will." I feel the other sentence is stronger, evokes more emotion, and says more about the characters. The true last sentences is just a bit redundant. ***Note, I don't particularly like LJ Smith, although I have enough of her books to say otherwise, I just truely enjoy a few of her characters and I want to see what happens to them. Plus, it is interesting to see how the show differs from the books in so many ways. "Her stomach dropped out from under her as the silver river spun away and the spires of the bridge slid under her feet, bu this time Clary kept her eyes open, so that she could see it all." ***I honestly can't remember the ending of this book, I did read it a bit go and it did not help that my copy was missing about 39 pages towards the end, but it is only the first in a series of 4 thus far. 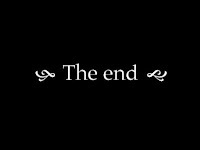 Nevertheless, I like the ending. It says something about the character, how she has changed. 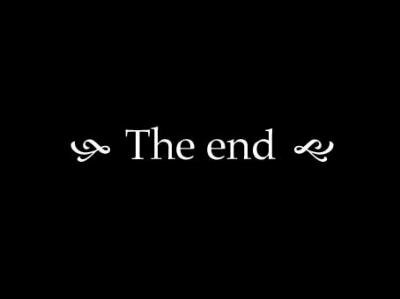 I guess those are my favorite kinds of ending, considering I picked two endings with the same effect. I am a character's person. If I don't fall in love with at least one character, I'm not reading the book. Plus, when I write, I always start with characters. If the plot isn't figured out, my characters are at least. it is from the magician's nephew. "A devilish temper she had," he would say. "But she was a dem fine woman, sir, a dem fine woman." that is the perfect end of a book is it not? i am going to post more last lines soon!!!!!!!!!!! -Oh the places you'll go.